You are here: Home / Testimonials / Sonal P.
Just got back from an AWESOME weekend in Tahoe! Our last day was made even better after stopping by at Ski Renter. Phil, the store Manager, was hilarious and really made us feel welcome. He not only advised us about the appropriate gear to wear for the activities we were going to do, but also gave us honest recommendations on the best slopes for these activities. Although I was a tad put off when he slammed Heavenly for being money-grubbers & stealing business from the smaller rental companies & ski resorts, I soon realized how true his words were after our first trip there!! What a rip off!! 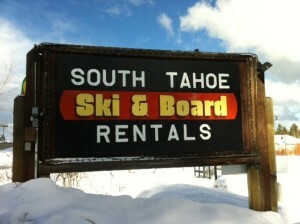 Just glad we got a decent rate on our rentals (snow boots + snow pants = $12 + $9 for the whole day) from this place!